GAMECITY is the Nickelodeon’s social meta-game, hosted into nickTV.it and connected to Facebook. Accessing to the new GAMECITY’s section on the Nickelodeon portal NickTV.it, users will dress the part of a superhero, equipped of a super-vehicle too, called to perform continuous missions in a city populated by all the famous properties of Nickelodeon, like Spongebob, Avatar, The Penguins of Madagascar, Fairly Oddparents. Playing to the games contained into GAMECITY, performing their missions, matching their friends, players will increase their levels, climb GAMECITY’s leaderboards and earn continuously new virtual items to customize their own avatars, new playing cards to increase their super-vehicles powers, awards and prizes to testify their progresses. GameCity is developed with our Social Game Development Platform: LUDUM. GAMECITY is a meta-game conceived to enhance at most the NickTV.it’s brand, exploiting all Nickelodeon’s properties (like Spongebob, Avatar, The Penguins of Madagascar, Fairly Oddparents an so on). GAMECITY has been conceived to create a social and engaging game-experience. NickTV.it’s users will dress the part of a superhero and will be called to patrol GAMECITY’s streets and perform continuous missions; moreover, players will be able ti match each others and deeply customize their avatars. 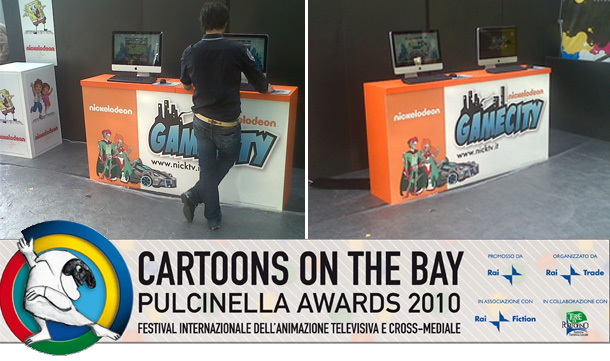 Each GAMECITY’s district is owned by a Nickelodeon’s properties or by an advertising brand that will insert into GAMECITY through the “product placement” marketing tool. Entering into the various districts, users will access to a large number of games. Playing and performing thair missions, the superheroes will increase their experiece, and so a lot of virtual items, awards and prizes will be unlocked. Bundled with GAMECITY, there will be a Facebook social-game: every player will have a super-vehicle, deeply customizable through some “equipping cards”. Thanks to thair super-vehicle, superheroes can determine who is the most powerful.